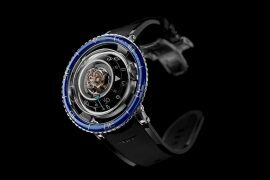 Konstantin Chaykin is a bonafide wunderkind of the independent watchmaking scene. 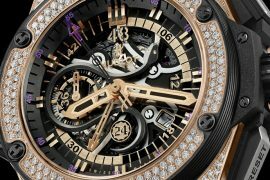 Masterpieces like the Cinema, the Genius Temporis, and the Moscow Comptus Easter Clock have solidified his reputation as a genius thinker and master horologist. More recent timepieces beginning with 2017’s Joker have not only illustrated this Russian technician’s lighter side but have also proven to be authentic hits for the charming watchmaker in the world of collecting. So successfully, in fact, that Chaykin has begun to expand the Joker line. 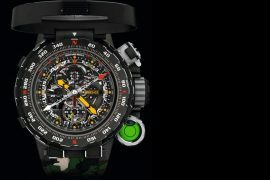 At first, with an Haute Horlogerie version made in conjunction with independent watchmaker Svend Andersen called the Joker Automaton and later by giving the Joker new personalities (see a soccer-themed version here). The latest in this line arrives just in time for Halloween: a horological Dracula! 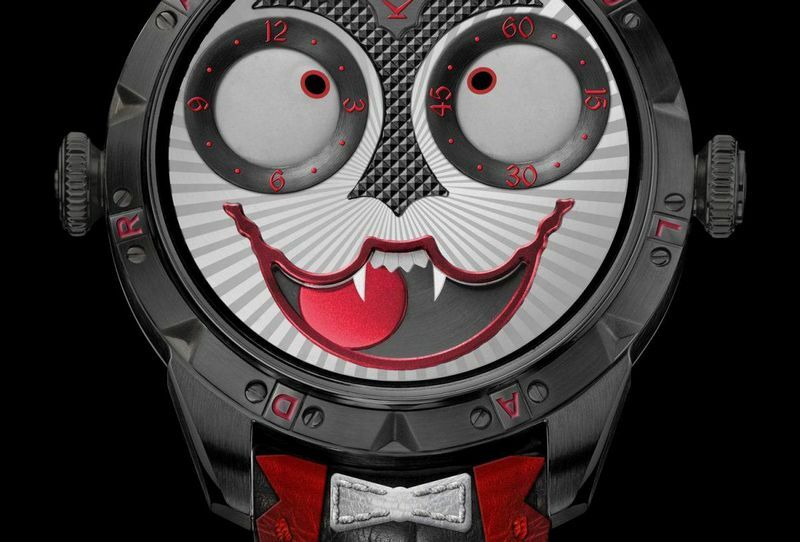 Housed in a 42 x 14.2 mm blackened stainless steel case and featuring the grinning dial-face we have come to love in contrasting black, white, and red colors, the Konstantin Chaykin Joker Dracula featuring a googly-eyed time display and a clever moon phase mouth has unmistakably become a Transylvanian bloodsucker just in time to celebrate 2018’s Halloween. And even more cleverly, an added technical detail truly transforms it: just after 10:00 pm, the permanently grimacing, moon-enhanced Joker smile becomes something more sinister as Dracula’s vampire fangs appear, disappearing again at the first sign of the approaching sunrise at 6:00 in the morning. Halloween may be over on November 1, but this Dracula will continue to show its vampire side every night in anticipation of the next All Hallows’ Eve when the spirits rise anew. Chaykin stresses that this Dracula is not simply a new design of his Joker watch line: he developed a new movement module to accommodate the complicated appearance and disappearance of the fangs, which is, in reality, a clever day/night indication. Automatic Caliber К.18-7 Dracula is based on the Swiss Caliber ETA 2824-2, a perfect workhorse movement for Chaykin’s Joker watches. The new module accommodating the fang function adds 16 new parts and makes the dial of new Dracula twice as complex as that of the Joker. 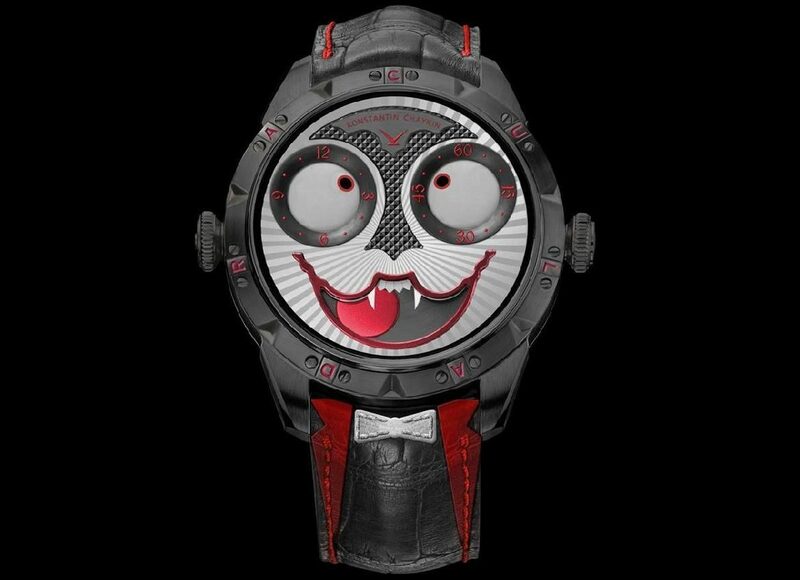 The Special Edition Konstantin Chaykin Joker Dracula Watch Halloween 2018 is limited to only 13 pieces and can be purchased at a price of $21,500. 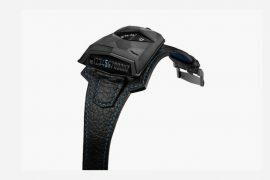 It is available on a high-quality alligator strap or an exclusive “Dracula strap” featuring a painted white bow tie that adds even more personality to the already charming timepiece. Previous articleGucci-Globetrotter Give You The Ultimate Travel Collection! Next articleRide In Mercedes-Benz Before You Can Even Walk!